I finished quilting my 2nd Purple Project quilt this morning and was using the extra batting and backing for practice. I started just echoing some hearts and I LOVE this. It wasn’t even something I’d seen somewhere and practiced drawing for HOURS which is what I usually have to do. Isn’t it CUTE? Now hopefully I can find a top to use it on! As I was getting the quilt set up this morning I had to pull out a new roll of batting. I almost had a heart attack until I realized this huge black streak was on the plastic NOT on my batting! Next ›I can’t believe it’s August! oh I LOVE them! Do you mind if I try them myself? I am trying to get the rusties out of my quilting. My panto quilting is just NASTY. I think you have just designed a new panto – or started your own buul of free-hand quilting designs! It’s really nice. Wow, those hearts are just fantastic. In fact, you have many wonderful quilting designs!! Makes me want to get into my quilting room, but I can’t until the girls leave. I love them, but I am getting antsy to sew!! Love the hearts! I am practising FM quilting on my regular machine and I may just have to give them a try. Beautiful free-hand hearts, and the spacing is just prefect. What a nice overall design; you’d better name it Mary’s hearts quicksmart…. Those echoing hearts sure look sweet. Great job! Boy…sure glad the black streak was on the bag and NOT the batting! Those look awesome, Mary. I might have to try that on the ol’ home machine. Love the hearts. Oh my the black mark …. whew .. thank goodness it was on the plastic. 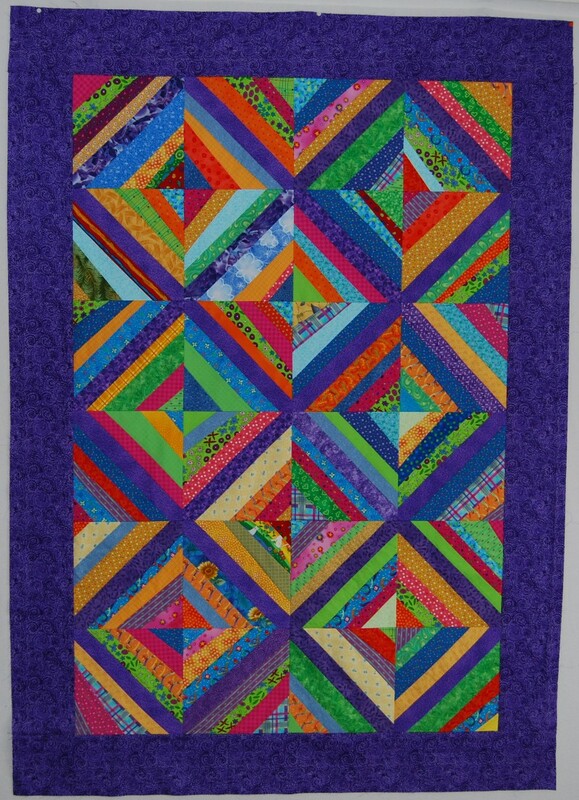 What a fantastic quilting pattern! I know machine quilting take practice and “doodling” time but I doubt very much I could ever do something so wonderful. I’m saving your picture just so that I can look at it and dream! We need to call these Mary’s Hearts. I love this new meander! Wow, you are soooo good!! I love the hearts!!! I think you should do it on the heart string blocks you are making. Wow, those hearts are fabulous, Mary!I would have panicked, too if I’d seen that blue streak. Thank goodness it was just on the plastic wrapper. Whew! Yup, me too! Those hearts are way cute! Seeing that black streak would have given me a heart attack! ACK! Wow, love those (Mary’s) hearts! Just lovely. It’s wonderful. I love the hearts and how they dance across the fabric. gorgeous. what do you do with your practice pieces? I bet you could make something interesting out of this like a tote bag or gift bag. I love “Mary’s Hearts” too….they are awesome! Wow! I love the hearts. You did a great job. Your hearts are fabulous! I echo Norma — we’ll need to call these Mary’s hearts! All the pantos and heart meanders I’ve seen are mostly ugly hearts — skinny with not much definition — yours are beautiful, fat hearts — I love them. I just pieced a baby quilt they would look great on. I’ll have to practice my own version. Stunning!!! 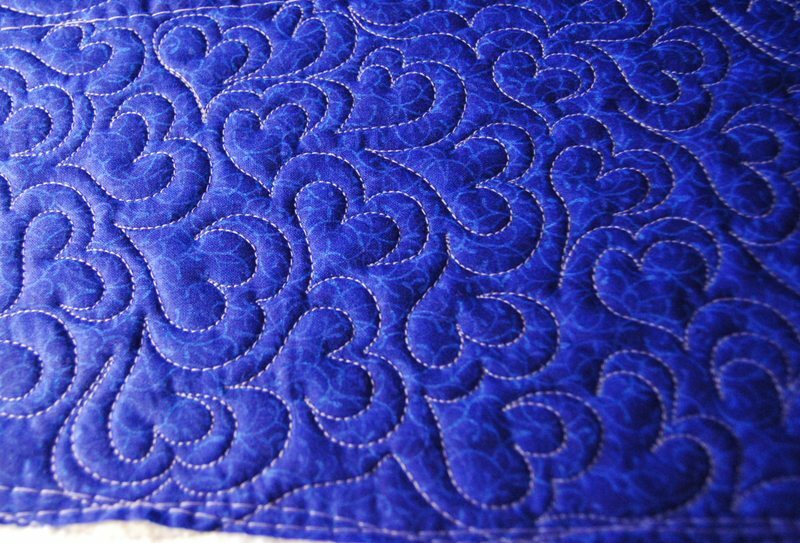 Your heart quilting pattern is wonderful!!!! !